We have fast approaching 600 companies in the UK using our JobWatch system. As well as the UK, we have customers in Ireland, France, Spain, Finland, Norway, Australia and the USA. By having one system the benefits are far more achievable as your current tracking system sits standalone outside of the operations of the business. If you run a fleet of transport vehicles, service engineers or manage a sales team BigChange JobWatch is ideal to take care of all your practices and process. Benefits include extra work completed, reduction in failed jobs, reduced office administration time, raise invoices immediately post job completion, reduction in fuel spend and improved driver behaviour due to reducing distances travelled. All this helps you generate more business! Companies such as Abird Limited, Acumen Waste Services, Alfred Bagnall and Sons, Arrow Industrial Group, Bobst, Buy It Direct, Capital Cooling Commercial Refrigeration, Cathedral Hygiene, Complete Business Solutions Group, CS Ellis, Elddis Transport, Elliott Group, Eurofins, Expect Distribution, Farid Hillend Engineering, FSH (Group) Limited, Gap Group, Garic, HSS Hire Service, Jarvie Plant, John Deere Forestry, Nixon Hire, Johnsons Stalbridge Linen Services, JW Crowther, Kingspan, Komatsu Forest, London Borough of Bromley, North Yorkshire Timber, P & O Ferrymasters, Paul Clark Services, Pollock (Scotrans), Lakehouse Group, Rainham Steel, Ringway Jacobs, Serco, Sheffield City Council, Silentnight & Sealy, Sutton and East Surrey Water Services, The Bread Factory, Thetford International Compactor Services, UK Platforms, Utilitec Services, Vantec Europe and Wood Group Industrial Services. 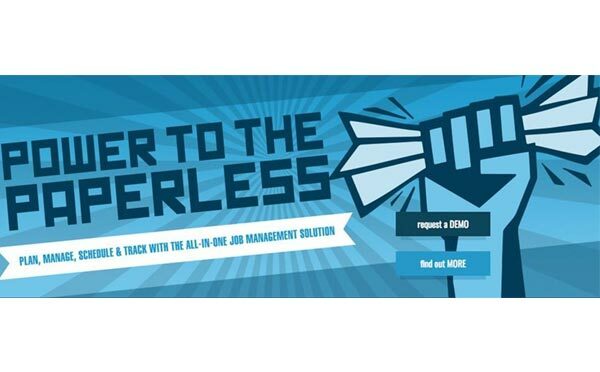 Join our Paperless Revolution Click here to arrange a presentation or call 0113 4571000.